We are an experienced team of Certified NRA Instructors, and the Lawyers (not law enforcement) we use are all experienced in the area of firearms and concealed carry in their practices. You will get all the information to be knowledgeable & comfortable with the law, your handgun and the use of Deadly Force. 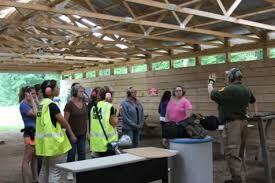 We have instructed over 5000 students in Firearms classes over the past 12 years. MCCT teaches the National Rifle Associations (NRA) Personal Protection in the Home (PPITH). This course fulfills the training requirements for the Concealed Pistol License in Michigan. 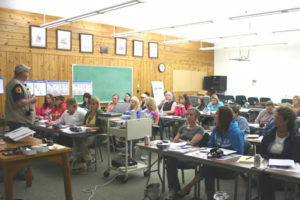 Our course exceeds the Michigan law requirements and the NRA standards. You can bring your own handgun and ammo, or use our handguns and purchase the ammo from us at the class. We are available to train statewide and surrounding states with an advanced notice and a minimum number of students. Please inquire with one of our instructors for more information. Classes usually start at 8:00am and are over around 5:00pm. This includes class and range time, breaks and lunch. We supply all the required training material and use a professional Power Point presentation. Please feel free to ask our instructors any questions you may have. We get this question a lot, why is your course different, or more costly? Can you carry in the following places with your Michigan Concealed Pistol License? What if I travel out of state? Many times students leave a class and can’t answer these simple questions after spending an entire day at the class. Wouldn’t you want to know these simple things? We take the time to explain all these important things in our classroom, and you will shoot a full 96 rounds during our Range Time. Three of our Instructors have Military experience, some with combat experience, and we have a female instructor. Our Students experience after the class is important to us also. After training over 5000 students, we know of some, (at least) 10 that have used their firearms in Self Defense. None of our students have been charged with a crime. Ask your Instructor if they can provide those stats? CPL Holders going to a quality class with good legal training know better than to use their firearm only when its the last resort. The law requires 8 hours of combined class and range time, if your getting out in the middle of the afternoon you are being shortchanged. Our Staff includes 2 NRA Training Counselors (we Train the Trainers), and two Advanced Pistol Instructors (Personal Protection Outside the Home).